I’ve seen modern-day people dress up as classical statues both on Las Ramblas in Barcelona and, occasionally, here in NYC, but I’ve never seen classical statues dress up as modern-day people. 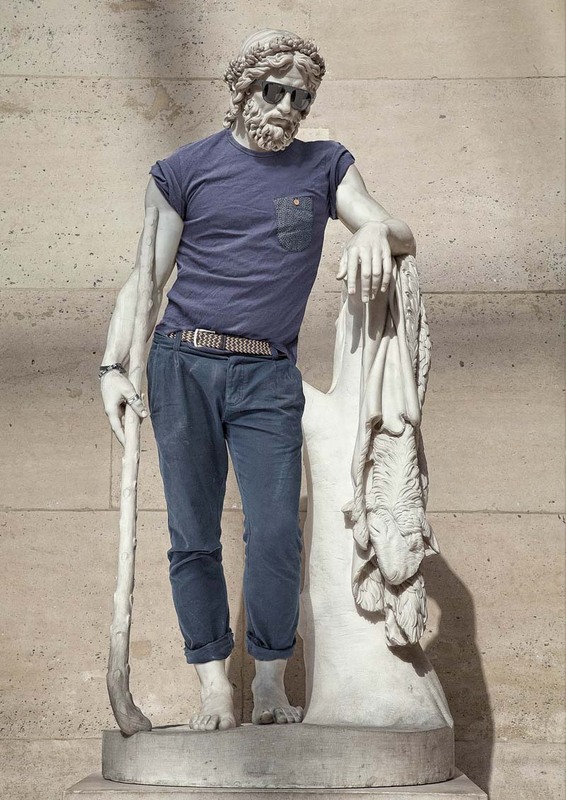 French photographer Léo Caillard came up with the humorous concept. 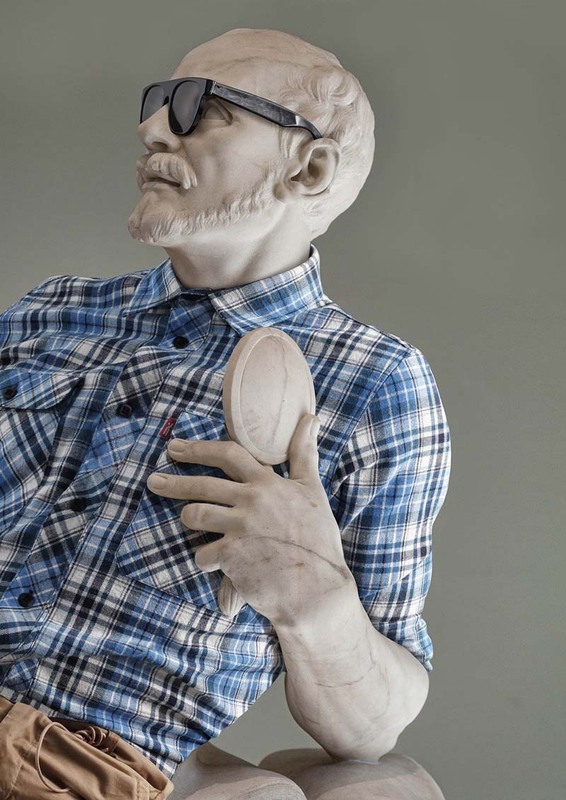 He didn’t actually dress these stone sculptures but instead had retoucher Alexis Persani masterly ‘enrobe’ them using photoshop, converting them into the most unassuming hipsters…well, maybe a little stiffer. How no one has come up with this concept before (talk about perfect models!) for a clothing company catalog (I can just see Victoria’s Secret’s Fall catalog now…) is a mystery to me. Very clever, Léo. This entry was posted in Art, Fun, Graphic Design, Photography, Pop Culture, Stuff We Like. Bookmark the permalink.